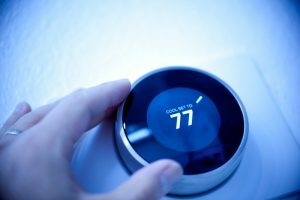 Don’t Believe These HVAC Myths! The internet can be a great place full of plenty of helpful information. This is a good thing, for the most part. However, sometimes too much information can cause serious problems, as not all of it is actually true. You can type in a question about any appliance within your home and receive pages and pages of helpful tips, “hacks,” and pointers from everyone and their brother. But unfortunately, this is how misconceptions are spread. 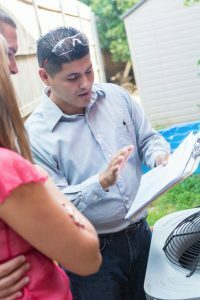 Fortunately, you have one San Antonio, TX HVAC company right here to bust up a few of the most common HVAC myths that exist. These myths can end up costing you money in the long run, as they cause your system to run inefficiently and thus ineffectively. 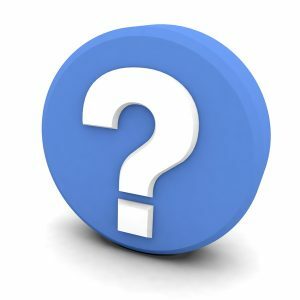 Posted in HVAC | Comments Off on Don’t Believe These HVAC Myths! When it comes to providing great Boerne, TX HVAC services, whether it be air conditioning maintenance, heating repair, or something else, we are certainly the team to call. But we aren’t just here to provide service. We want to be able to help you with tips and advice that can save you money throughout the year. One of these tips is—utilize your ceiling fans! This comes as a surprise to many homeowners, who believe that running their ceiling fans is a waste of electricity and may refrain from doing so to save on their energy bills. But on the contrary, when used in conjunction with your HVAC systems, ceiling fans can save you considerably. If you have any questions, please feel free to reach out to our team. 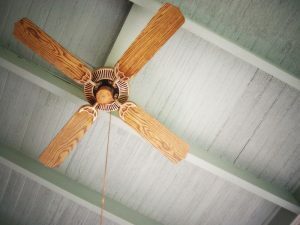 In the meantime, keep reading to learn more about the hidden benefits of ceiling fans. In our previous post, we discussed how a clogged air filter can impact your heating system. But it’s not just your heater you should worry about, especially in our part of the country. Your air filter impacts both of your New Braunfels, TX HVAC systems–your heater and your forced air cooling system. But changing your air filter is a maintenance task you can, and should, do on your own. You’ve likely noticed that we encourage you to leave the overall maintenance to the professionals. Our staff is highly trained and experienced in thoroughly inspecting, cleaning, and adjusting your air conditioning and heat systems to ensure they work as efficiently and effectively as possible—for the years to come. 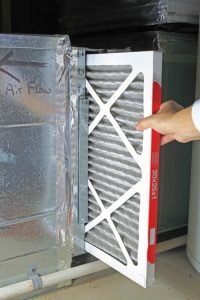 But if you want to keep your heater and cooling system in the best working condition possible, then you can’t go 6 months to a year without changing your air filter! One of the biggest inconveniences of owning a home is having to call a technician for repairs from time to time. But if you want to prevent problems with your HVAC system, there are a few ways to stop repair needs from occurring as often while keeping your unit running efficiently. The best way to save money on repair costs is by scheduling regular maintenance with an HVAC expert. To learn more about why this program is so valuable, read on!